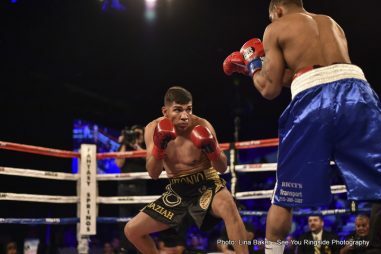 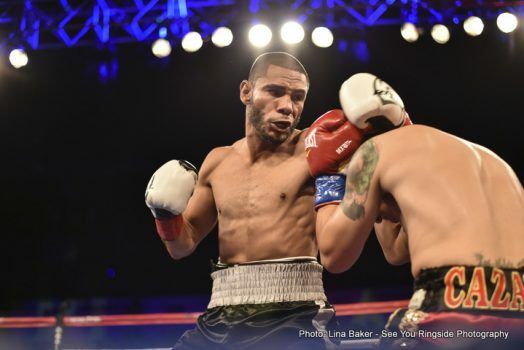 Fans were treated to an exciting night of action on March 25 at Fantasy Springs Resort Casino with a stacked card of fights live Boxeo Estelar on Estrella TV and streaming live on Ring TV. 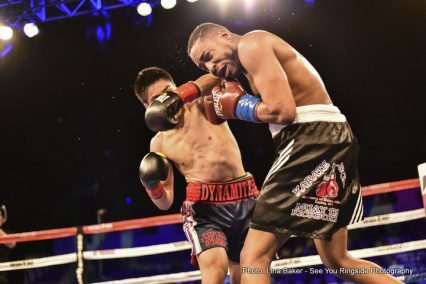 The main event of the evening featured top contender “Relentless” Antonio Orozco (24-0, 16 KOs) of San Diego, Calif. by way of Tecate, Mexcio against former WBA Super Lightweight World Champion Miguel Acosta (29-9-2, 39 KOs) of Philadelphia in a scheduled 10-round super welterweight fight. 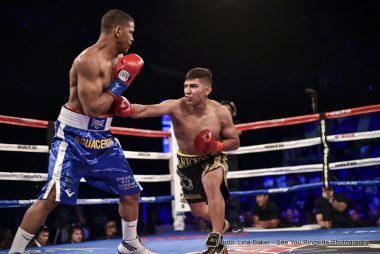 The fight had Orozco come in strong with two solid left hooks that sent Acosta to the canvas twice in the first round. 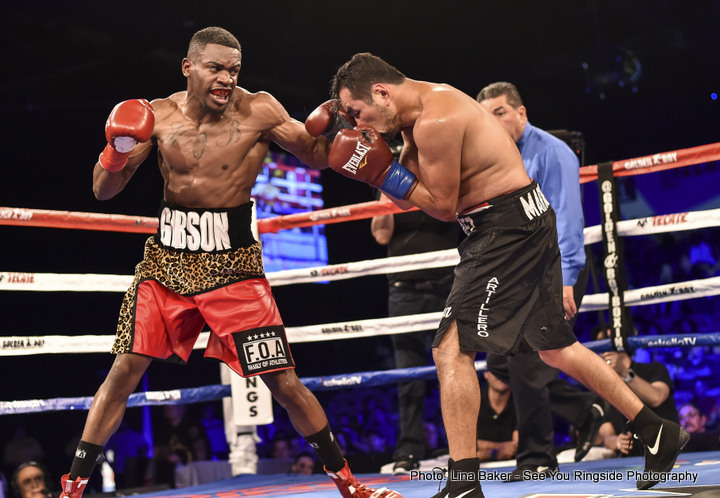 A non-responsive Acosta had the doctor call off the fight, awarding Orozco a victory knockout at the 1:54 mark. 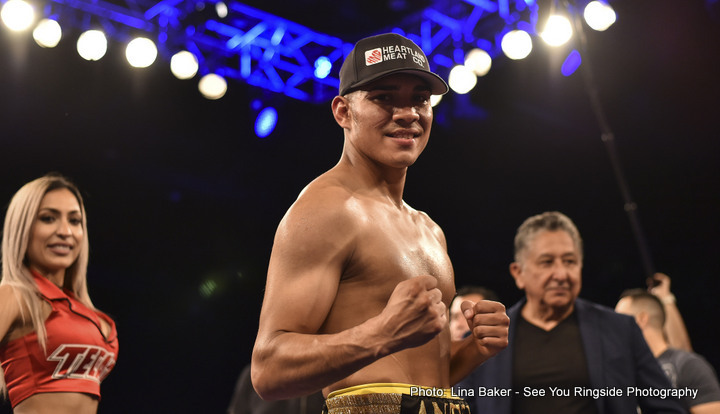 In the televised co-main event of the evening, Andrew “El Chango” Cancio (17-3-2, 13 KOs) of Blythe, Calif. made his debut as a Golden Boy Promotions fighter in a 10-round featherweight fight against former two division world champion Hugo “El Incredible” Cazares (40-9-2, 27 KOs) of Los Mochis, Sinaloa, Mexico. 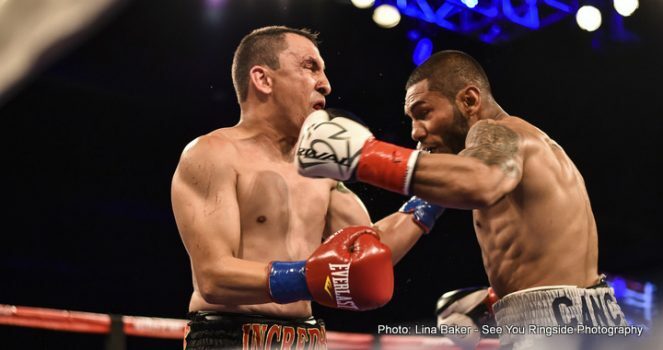 Cancio ambushed Cazares on the ropes and landed effective body shots in the first round. 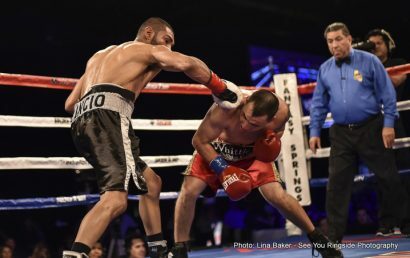 Cancio continued to dominate the fight as he knocked down Cazares in the third round. 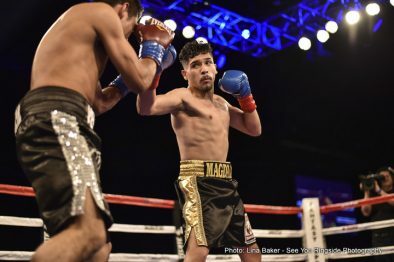 Cazares made the count and fought off Cancio throughout the exciting round; however at the 2:49 mark, Cazares’ corner call off the fight giving Cancio another technical knockout victory. 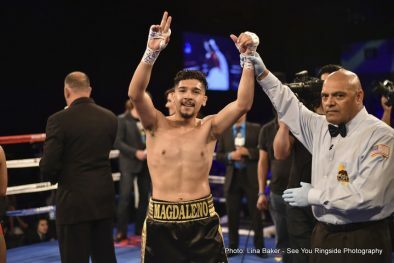 Indio, Calif.’s Marco Magdaleno (2-0, 1 KOs) made the televised broadcast on Estrella TV in a four-round lightweight event against Tijuana, Baja California, Mexico’s Luis Silva (2-7, 1 KOs). 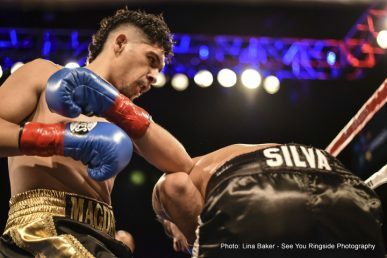 The active scrap saw the fighters go at each other with Magdaleno delivering a devastating blow to Silva at 1:29 mark of the second round to win the fight by knockout. 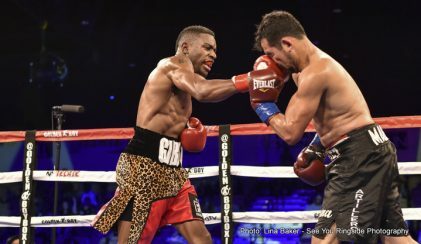 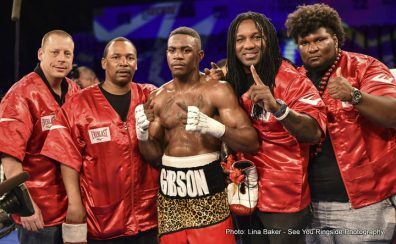 Also part of the bonus action of the night on Estrella TV after the main event of the evening, undefeated top prospect of St. Louis, MO KeAndre “The Truth” Gibson (14-0-1, 6 KOs) participated in an eight-round super welterweight against Hector Velazquez (57-27-3, 39) of Tijuana, Baja California, Mexico. 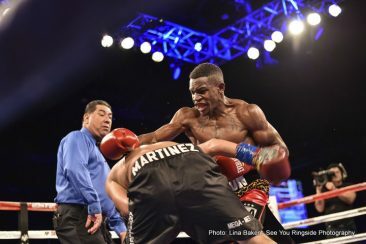 The fight stole the show as the most action-packed fight of the night, going to six-rounds before Gibson sent Velazquez to the mat to win the fight via knockout. 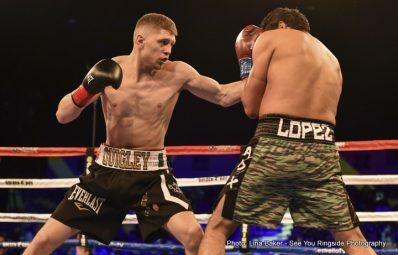 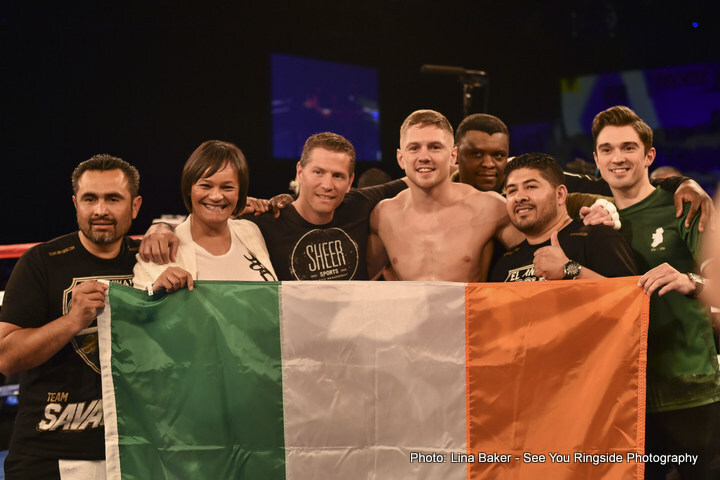 Part of the non-televised card but streaming live on Ring TV, Irish knockout artist Jason “El Animal” Quigley (10-0, 9 KOs) proved true to his rising stardom knocking out Freddy Lopez (10-4, 7 KOs) in the first round of their middleweight bout. 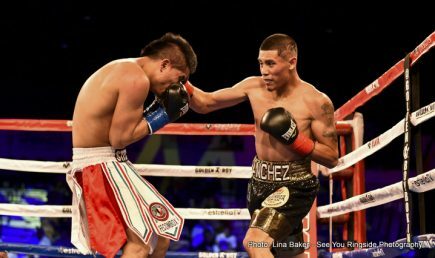 Emilio Sanchez (12-0, 9 KOs) of Pacoima, CA participated in a scheduled eight-round featherweight fight against Gustavo Molina (12-10, 5 KOs) from Tlaxcala, Mexico. 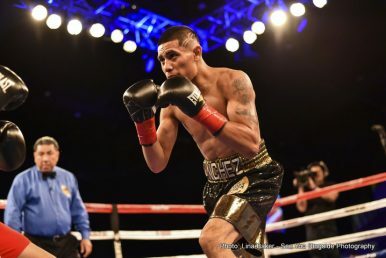 Sanchez used an effect jab that saw Molina hit the canvas in the second round. 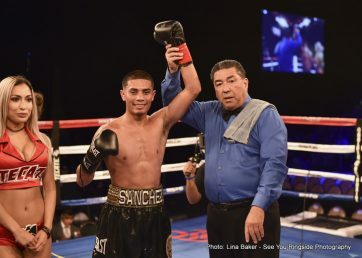 Molina made the count but was stopped at 2:03 of the round by the referee as Sanchez unleashed an attack to win the fight via technical knockout. 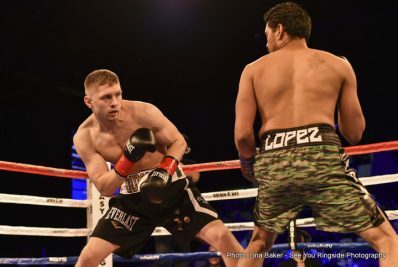 Opening up the night Jon Jon Dinong (2-0, 2 KO) of Los Angeles took on Jared Teer (2-6) of Olympia, WA in a scheduled four-round welterweight bout. 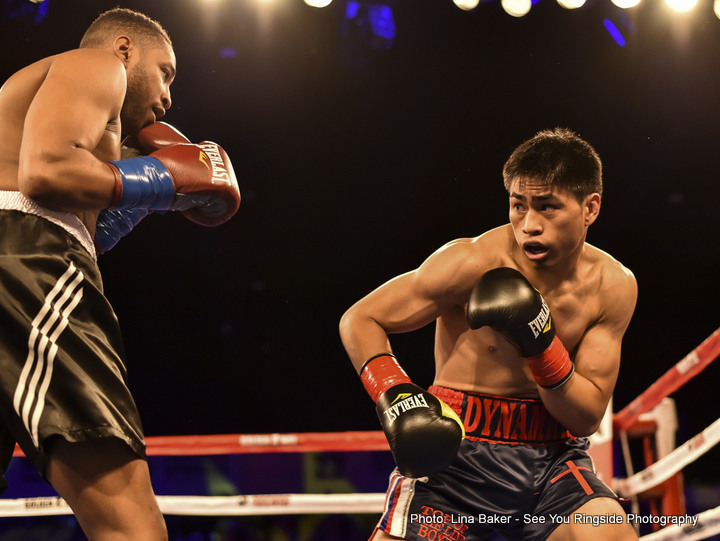 Dinong and Teer kept-up a good pace exchanging blows throughout all four rounds of the bout. 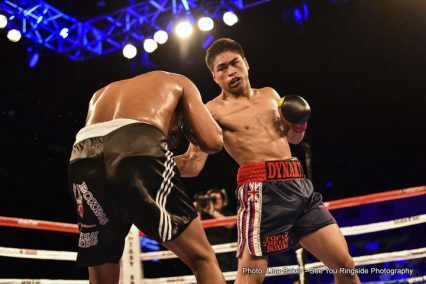 Towards the end of the fourth round, Dinong landed a right to Teer’s face that saw him hit the mat at the 2:10 mark of round missing the count, giving Dinong another knockout victory to add to his record. 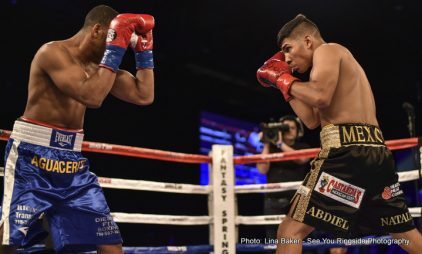 Antonio Orozco vs. Miguel Acosta was a 10-round welterweight fight presented by Golden Boy Promotions and sponsored by Cerveza Tecate, BORN BOLD. 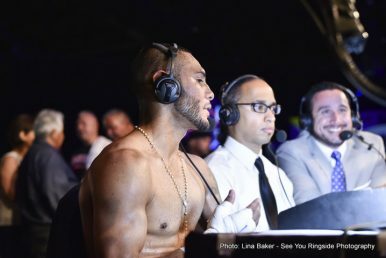 The Boxeo Estelar broadcast aired live on Estrella TV at 10:00 p.m. ET/7:00 p.m. PT. 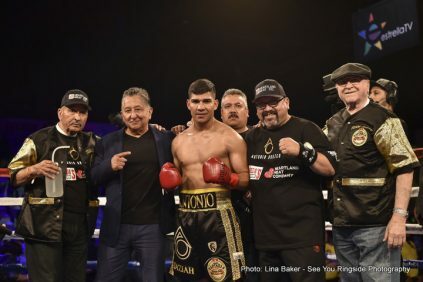 The card also streamed live on EstrellaTV.com and on YouTube via Fenomeno Studios. 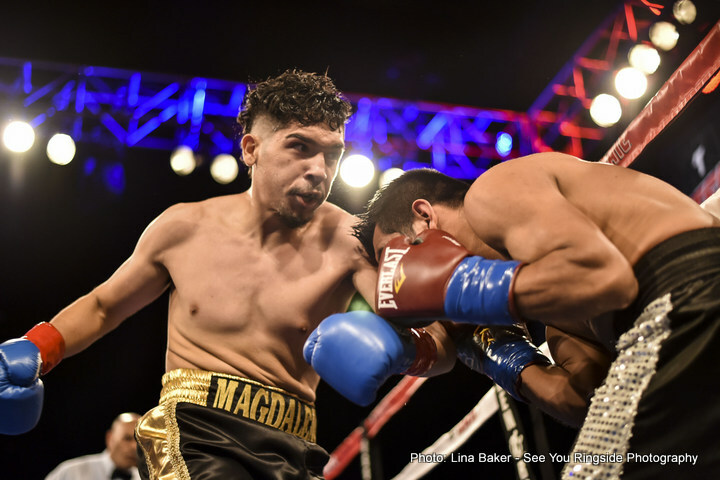 The Ring TV live stream began at approximately 5:30 p.m. PT through 7:00 p.m.